The Harz, a magical mountain range, is one of the most popular holiday regions in the heart of Germany. And just in the middle of it you will find our hotel and holiday apartment resort Tannenpark – an ideal starting point for discovery tours through the region. The most beautiful sights in the Harz and the best excursion destinations can be reached quickly from the city Tanne. Whether you’re looking for culture, nature or fun – with our excursion tips, you will find what you are looking for and will be thrilled by your holiday. We have put together some ideas for you. Our service staff at the reception will be happy to help you with further offers and current events on site. We are looking forward to your visit! It smells of fresh mountain meadows, bubbling brooks meander through the forest, the view widens for the small and the big things in life. We start to feel our surroundings because that’s how we feel about ourselves, we’re happy. We would like to share this feeling of happiness with you. We invite you to follow us in a region of unspoilt nature, exceptional places and tradition typical of resins. Take a break with us – up here in the Harz. Thousands of years of mining history, the times of the imperial rulers and the work of poets and thinkers have shaped the cultural landscape of the Harz Mountains. Impressive contemporary witnesses in the form of castles, churches, half-timbered buildings and visitor mines are all waiting to be discovered. 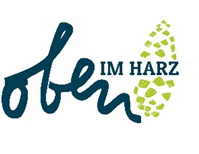 Immerse yourself in the diverse culture, history and tradition of the Harz.